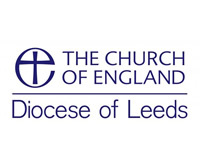 he Diocese of Leeds celebrates the diverse communities of our 242 Church schools and academies. Through the work of our professional team, we provide support and guidance for our schools in the delivery of a high quality education experience within a distinctive and inclusive Christian context. We value highly the work with all our strategic partners, including our complementary relationship with our nine partner local authorities. We are delighted to be a partner in this TSA. We recognise and support the very important work of the TSA in promoting excellence and providing training to develop teaching and leadership, including the delivery of high quality initial teacher training, all underpinned by the strong Christian ethos that Eden TSA embodies.